The Riga Latvian Society (RLS) is the oldest officially founded Latvian organization. It has had an outstanding role in the history of the Latvian nation, and thanks to it has been founded and established several notable Latvian educational, culture and science institutions that still work novadays. The Riga Latvian Society has had also an important role in the establishing of the Latvian State independence. The society is founded in 1868, but its beginnings come from the first half of the 19th century with the first attempts of remarkable Latvians to unite in the, at that time, typical German town. The abolishing of serfdom, that in Baltics took action remarkably earlier than in other places of the Russian Empire – in Kurzeme region in 1817, but in Vidzeme in 1819, gave an apportunity for the peasants to move freely and get land to their possessions. It promoted also the inflow of Latvians into towns, especially in Riga, where, together with the trade, started the development of the industry and other economic sectors. The Riga port became the biggest, if looking at the goods turnover, but at the beginning of the 20th century, it became the largest in whole Empire. Starting with the middle of the 19th century rapidly changed the town’s “face”. After the breaking down of the fortress wall (1857 - 1863), Riga started its expanding. In 1861 opened railroad Riga-Daugavpils that connected the town with Europe railroads. Were built new factories, many-storied dwelling houses and public institutions. The The former peasants became, mainly, the cheap labor force, but there were also a lot of enterprising Latvians who knew how to become rich and became entrepreneurs in the branches that previously were totally in the hands of the foreigners. One of these brances was construction. Latvian construction companies became the biggest and most powerful, and more than the half of the houses built at the beginning of the 20th century belonged to the Latvians. Latvians’ intelligence developed. Many of the Latvians got the higher education in, founded in 1862, Riga Polytechnic School; others studied in Terbata, St. Petersburg, Moscow or German Universities. Stimulated by Krišjānis Valdemārs Latvian young men studied in naval schools and became captains or helmsmen, constructed ships and created their own shipping companies. Latvians needed the centre that would unite them socially and economically and would attest the feeling of national community. The first attempts to unite were in 1861 in Pardaugava at the house of Tilo factory’s philologist and public worker Kaspars Biezbārdis and a teacher Juris Caunītis, hovewer, these attempts were without results. After that, a clerk, publicist and redactor Bernhards Dīriķis tried to found a Latvian Society with scientifically literal aims, hovewer, it was not affirmed in the parliament. New apportunity to establish the Latvian Society came in 1868 when Estonia experienced unusual crop failure. To help the neighbouring country, volunteered Latvian craftsmen and seamen who, on Ivans Himillers initiative and with the support of Riga mayor Eduard Heinrich Gustav von Holander, on March 2, 1868 founded "Latvian Help Society for Estonians in Need”. To obtain the money for help, the Society organized concerts, public lectures and staged the play "Žūpu Bērtulis" (Drunkard Bertulis). It was the first Latvian theatre performance in Riga. In the Society actively worked also the Ladies’ Committee. The work of this Society made the conditions to the creating of the RLS. The initiators of the founding of the RLS were B.Dīriķis, an architect Jānis Frīdrihs Baumanis and a writer, publicist and economist Rihards Tomsons. The first record of the meeting is written in the apartment of J.F. Baumanis on August 16, 1868. Soon, already on October 24, in Ministry of Interior Affairs in Russia, were confirmed the Society’s statutes. The general meeting of the founders came together on November 22. There participated more than 100 new RLS members who elected 36 “speech men”. They, in their turn, elected the chairman of the society - B.Dīriķis and his deputies R.Tomsons and J.F.Baumanis. One of the main aims of the Society was the help for "those in need" written in the Society’s statutes. The second aim – to widespread "valuable knowledge, as well as, fair order and various spiritual enlightenment among this place Latvians" had rationally defined line that allowed the society to become the centre of Latvian consolidation. The RLS implemented its activities with the work of different commissions and sections, and gave huge investment in the development of Latvian education and culture, among them, organizing Latvian Song Festival. Exactly these activities became the important political factor in the lives of Latvian nation, although the political activities were not included in the Society’s statutes. To make the consciousness of the nation’s unity and cultivate and keep nation’s spiritual and culture values – it has been and is the main mission of the Society. To implement the mission invites also the words on the RLS flag - "Stand Hard, Work Bravely". Untill year 1914, the RLS was the initiator, organizer and supporter of almost all Latvian aspirations. The society organized and managed Latvian Song Festivals that became traditional, promoting the self-awareness and the growth of musical culture of the nation. In the Society, already in 1868, started working the first Latvian theatre, on its base, in 1919, developed Latvian National Theatre. Together with the RLS Scientific Committee worked the Section of Valuable Books that published important editions, for example, first Latvian Encyclopedia in four volumes. The foundations of the University of Latvia and the Academy of Music were laid in the Riga Latvian Society. The collections gathered in the society were included in later established Riga History and Ethnographic Open-air Museums; here the activities started the Academy of Sciences. Almost all the important activities of Latvian culture history at the end of the 19th and at the beginning of the 20th centuries were connected with the work of the Riga Latvian Society, so it is safe to assert that the Society had a ruling role in the establishing of the independent Latvian state. The RLS had a different role during the time of independent Latvian state when the museum, theatre and many other branches started by the Society came under the jurisdiction of the Latvian state. 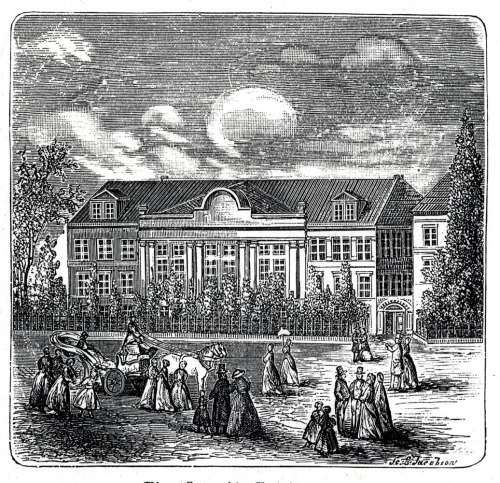 The Society’s activities’ range narrowed, and the RLS became an elite organisation; in the RLS House met the higher society of Riga; were organized splendid balls and receptions. Parallel to these outwardly glittering activities worked the traditional committees; academically educated specialists step by step replaced the enthusiasts, developed new structures, for example, the Section of National and Political Upbringing, developed groups of one profession and interest clubs. The work of the RLS was stopped in 1940 with the beginning of Soviet occupation. The Society was restored on January 14, 1989. The first chairman of the restored Riga Latvian Society was a writer and public employee Andris Kolbergs, who, as a chairman of the Society, worked from January 14, 1989 to October 4 of the same year. From October 4, 1989 to March 2, 1991 the RLS was led by a philosopher and sociologist Pēteris Laķis. Under his leadership were made the first steps to take over the Society House from the former USSR War Department for Society’s disposal. Practical transposition of the house was carried out by a doctor and a cultural employee Jānis Velde. But at the beginning of the 1993 the RLS experienced a critical situation in which settled question whether the Society would be the centre of Latvian culture or the benefit of greedy businessmen. Only the Dr. of history science and archaeologist’s Jānis Graudonis’ and the RLS Board’s consistent position let the RLS to overcome the crisis situation and save the Society as Latvian cultural organization. The director, dramatist, theatre critic, translator and considerable public employee Pēteris Pētersons led the RLS from April 7, 1993 to his tragic death on October 9, 1998. His deep erudition, wide relations, purposeful work gathered in the Society the best Latvian artists, scientists and creative intelligence. The Chairman created powerful and talented team that organised large events and fulfilled serious projects. The RLS became an important cultural and social life’s centre. 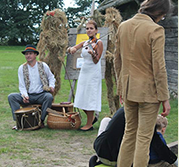 The RLS commissions and artistic groups created original, outstanding events and promoted cooperation with Latvian regions’ cultural workers. Under the leadership of the chairman film director Jānis Streičs from February 24, 1999 to March 5, 2002 the Society started new project – annual cultural programme “Light beckoned”. Over the years it has been devoted to outstanding personalities of Latvian culture life - Pēteris Miglinīks, Auseklis, Kārlis Skalbe, Krišjānis Barons, Ansis Lerhis-Puškaitis, Ādolfs Alunāns, Marģeris Zariņš, Jānis Jaunsudrabiņš, Jurjānu Andrejs, Edvarts Virza, Stērstu Andrejs, Ernsts Gliks, Aleksandrs Būmanis and Marģeris Zariņš. Serious attention was paid to the preservation and managing of the RLS House – cultural monument of state importance. In 1999 the Riga Latvian Society was chosen as one of the event places for European Reconstruction and Development Bank’s attorney’s meeting. Were granted resources for the restauration and renovation of the part of the RLS House, to prepare the building for the important event. The reastauration works of the RLS House lasted from June 1999 t0 February 2000. From March 5, 2002 to February 3, 2010 the RLS was led by a literary scientist and writer Valdis Rūmnieks. In 2008 in the Big Hall’s foyer for the private donation was fulfilled the project cherished for years – restored the historic stained glass “Rode the boyars to the high mountain…” The RLS over the years has made and cultivated the cooperation with Latvian societies all over the world. Under V.Rūmnieks leadership were organized large World Latvian societies’ conferences that have gathered representatives from Latvian organizations from West, East and all Latvia. In 2008 the RLS Council’s members Gaida Jablovska and Stella Līpīte, getting in contact with the world’s Latvian societies, compiled reference collection “Latvian Societies in the World” (Madris, 2008). The RLS restored the cooperation agreements with those organizations with whom the Society has had sustainable long-term cooperation: in 2004 with National Armed Forces, Latvian Academy of Science and the RLS and National Culture Development Fund. In 2005 the cooperation agreement was restored with the Latvian Culture College and Riga’s Brothers' Cemetery and Latvian Historic Heritage Fund, in its turn, in 2006 - with Latvian Children Fund. The RLS seriously payed attention to the popularising of its history and activities. With the Society’s support were published several books - Jānis Krastiņš and Edgars Mucenieks „Riga Latvian Society” ( Madris, 2002), „Small Encyclopedia of Song festival”(Musica Baltica, 2004), compilation “Living River. RLS Yesterday, Today...”(Madris, 2006). Every year Bureau manager Stella Līpīte prepares voluminious RLS informative bulletins that disclose the work results of the Society’s commissions, artistic and interest groups. On February 3, 2010 Ingmārs Čaklais was elected to be the Society’s Chairman. The year 2010 was time of changes for the Riga Latvian Society that brought new ideas and projects. The RLS for the first time took part in the International event “Museum night”, gaining wide suympathies of Riga’s citizens. The Society opened its door for the visitors late at night when all other museums were closing, and more than 2000 people sang, danced and became acquinted with the RLS house and its history till the dawn. After the long pause the RLS reanimated the social life by organizing spring ball and celebrating Society’s 142th birthday. Were organized several important discussions: together with the Latvian Intelligence Union was organized public discussion “20 years of Latvia’s freedom and independence (1991-2010). Obtained. Lost. What to do next?” in cooperation with Creative unions’ council and largest cultural organisations was organised discussion “Fight for the culture is fight for the state!” where participated culture minister candidates from 5 biggest political parties, and Riga Latvian Society’s members – youth organised the discussion “Higher education’s quality in Latvia”. In 2010 was created Bank of ideas where were summarised ideas and suggestions for the improvement of the Society’s work and was created new RLS home page. The work at the making of the RLS souvenirs was started and was created first series item – glass coffee and tea cup. At the end of the year 2010 was published the first Riga Latvian Society’s yearbook that summarized RLS members’ articles, literary compositions, important facts about Society and information, as well as the list of the RLS members. In the economic sphere people worked at projects to survive the economic crisis. On August 3, 2011 as the new chairman of the Riga Latvian Society was elected a director and public employee Guntis Gailītis.